At this 1950's inspired diner, newly renovated with a retro feel. The Colonial located just off of route 3 in Lyndhurst, NJ. Offering great food to go along with its great ambiance. Whether passing through on your way to New York City or looking for a place to eat after the game or concert, our staff is here waiting to serve you a great meal at an affordable price. The Colonial is located just off Rt. 3 in Lyndhurst NJ. Whether on your way to NYC for a night out or going to an event at the Meadowlands. We are an easy stop for a great meal at a great price. We are even a great stop on your way home, take a break from the traffic order dinner on your way. We will have everything packed hot and ready to serve. Your family will love the surprise!! 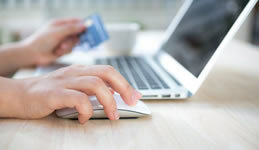 The Colonial has started accepting online orders. Just place your order and pay. Your order will be packed and ready to go. Just stop in grab and go. Join the more than 2,000 people in our Facebook community! Visit us on our page to see what's new and meet our staff. Everyday in the diner business is a new adventure! 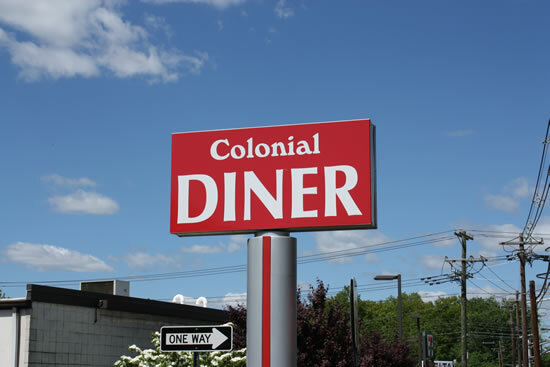 Follow us on Twitter and get the latest news about what's happening at the Colonial Diner. Take a step back in time at this 1950's inspired diner, newly renovated with a retro feel. The Colonial located just off of route 3 in Lyndhurst, NJ and minutes from the Meadowlands sports complex offers great food to go along with its great ambiance. Whether passing through on your way to New York City or looking for a place to eat after the game or concert, our staff is here waiting to serve you a great meal at an affordable price. © The Colonial 2019 | Web Design & Online Marketing By NextGen Solutions LLC.